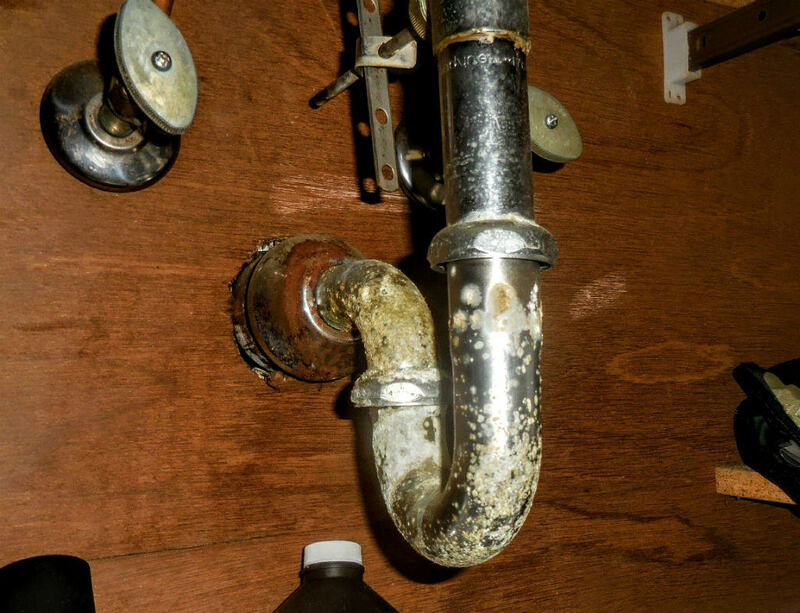 Plumbing leaks lead to decay and damage if not repaired quickly. This home has brass drainage lines. Over time, these pipes can develop pinhole leaks and weak areas that can fail. This sink drain was wet to the touch. While no specific leaks could be located, there is evidence of corrosion of the brass. A license plumber should be consulted to identify any hidden leaks and evaluate the plumbing drainage system of the entire home.